Starch is produced as an energy store by most plants. According to the Association des Amidonniers et Féculiers (now Starch Europe), potato starch production fell by 40% in 2012. This was in spite of receiving a subsidy of some ?22.25 per tonne. Potato starch production requires a considerable investment in production facilities and a guaranteed long-term market. 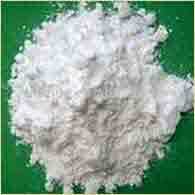 Potato starch is extracted from potatoes which have a high starch content. Straight after harvest, the potatoes are taken to the factory, where they are washed and ground into a pulp. During this process, the potato cells are broken up and the starch granules are released. Potato starch is used as: a thickening agent in food products, but it also has applications in the paper and textiles industry, as well as in construction. These fibres will be dried out until they have a dry content of 16%. This product is a perfect dietary supplement with a very high protein content, and the fibre content provides energy. Part of a potato starch production lne. For more information, please visit: the webpage for the International Starch Institute or Tummers Methodics. As plants grow, the green leaves take in light energy from the sun. In potatoes, this energy is turned into a glucose solution and sent down to the tubers, which is where it begins to turn into tiny starch granules, which make up most of the inside of the cell. 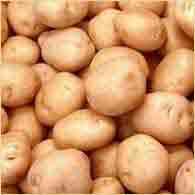 Starch is extracted by grinding the potatoes, breaking the cells that contain the starch. During this process, three byproducts are created: 1) starch, 2) an amniotic liquid and 3) potato fibres. The starch industry is highly competitive on a global scale, and it is very important to bear those three products in mind. Each one needs its own market. If one of them does not have a market, the entire feasibility of a starch factory will be put at risk. 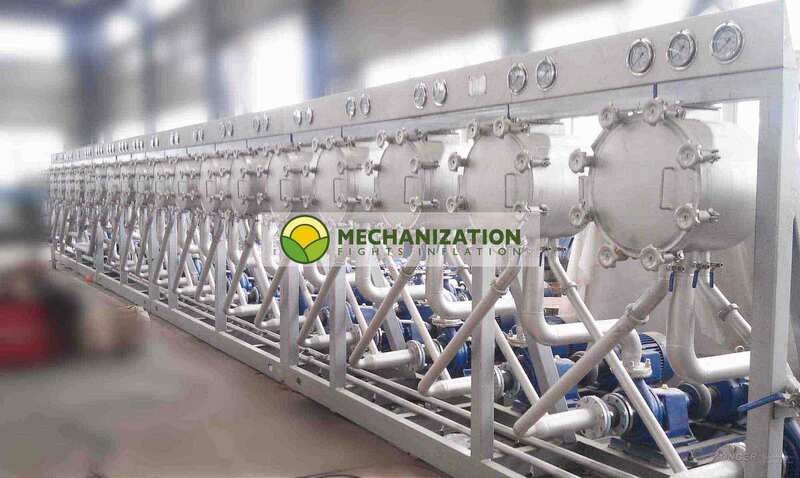 Additionally, a starch extraction facility demands investment on an industrial scale, and a guaranteed supply of potatoes with a high starch content over many years.